World of Warcraft: Legion Prominent is an interesting multiplayer online game that was developed and published by Blizzard Entertainment. It’s the 6th expansion set to the popular World of Warcraft series (after Warlords of Draenor). The official announcement concerning its release was made at Gamescom 2015 on 6th August 2015. After Archimonde’s death at Hellfire Citadel on Draenor’s alternate timeline world, Gul’dan is guided through an evil spirit portal and thereafter sent to Azeroth to prepare for the invasion of Burning Legion. The invasion involves huge numbers which are incomparable to the numbers involved in the War of Ancients (which occurred almost 10,000 years earlier). During his exploration of the Broken Isles’ hidden vaults, Gul’dan discovers a crystalline prison which contains Illidan Stormrage’s corpse. 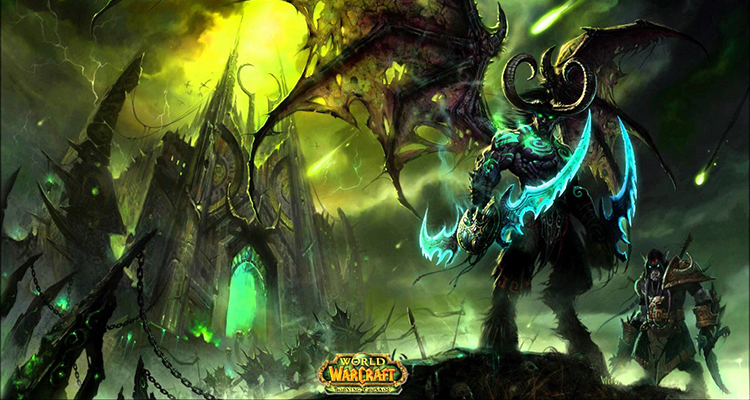 Illidan was at one time the ruler of Outland, and was murdered during the infamous Burning Crusade. Archmage Khadgar (who headed Horde and Alliance forces against Gul’dan) and Iron Horde witness Burning Legion’s return to the location. The latter then travels to Stormwind City to caution King Varian Wrynn about the imminent invasion by Burning Legion. The developers have introduced several changes in the multiplayer game. For instance, Turalyon and Alleria (characters that featured and died in previous series) are re-introduced. Each prospective player who places an advance order for the game will be rewarded with a free-level one-hundred boost for one character. Significant changes have also been made on some of the existing classes. For instance, hunters who heavily depended on pets will have two specializations changed; survival and marksmanship. Survival will enable them to use melee weapons in addition to using their pets, while Marksmanship will enable them to entirely depend on their specialized weapons without necessarily using their pets. The main focus of Warlock’s Demonology specs (previously described as dominated because of its ability to undergo metamorphosis) will change to their demon minions. Each class will consist of an order hall, where all members of that class can congregate in. Players have the liberty to upgrade the abilities and appearance of their artifact weapons in accordance to their respective class order halls. Each player character doubles up as the leader of the organization he/she is affiliated to (e.g. Silver Hand Order for the Palladins), unlike in Warlords of Dreanor where each player character was the commander of Horde or Alliance forces. Unlike in previous series, the order halls will not consist of bank access or auction houses. The role-playing game was designed by Cory Stockton, Chadd Nervig, Ion Hazzikostas and Brian Holinka.